Around 40 accommodation scholarships will be granted to students applying for it. 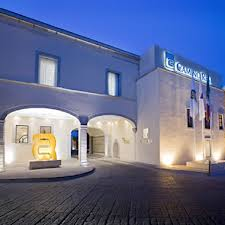 This scholarship gives right to free accommodation at CIMATEL, the academic hotel of CIMAT (with shared bedrooms). Priority will be given to author students. Applications will be received up to September, 25th at psivt2013(at)cimat.mx. 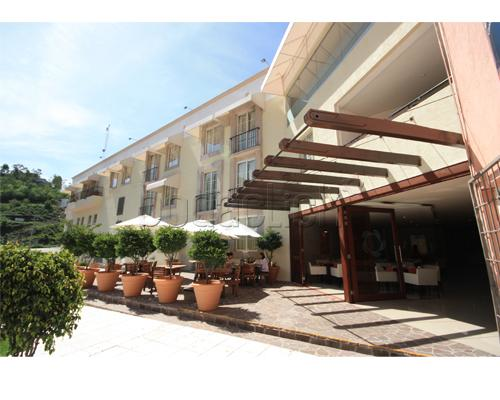 Here are some of the hotels in Guanajuato, near the venue of the main conference, where special deals for the attendees of PSIVT 2013 have been negociated. Please mention PSIVT 2013 and CIMAT while making your reservation. Address: Positos No. 35 esq. Juan Valle, Centro Histórico, Guanajuato, Gto. Rate: Single/Double room $800 MXN. Address: Allende No. 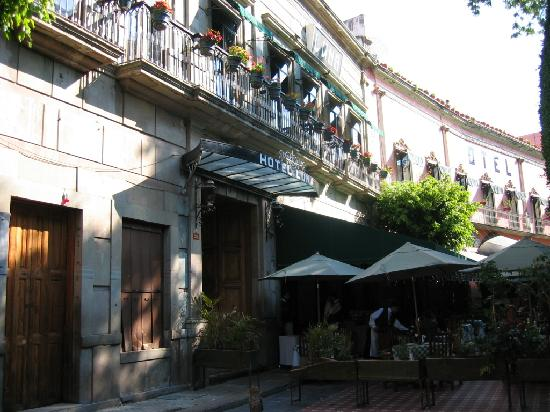 7, Centro Histórico, Guanajuato, Gto. Rate: Single/Double room $1600 MXN. Address: Plaza de la Paz No. 49-51. Centro Histórico, Guanajuato, Gto. Rate: Single/Double room $1200 MXN. Address: Jardín de la Unión No. 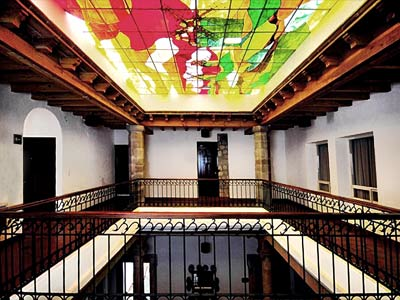 6, Centro Histórico, Guanajuato, Gto. Rate: Interior room, $960 MXN. Balcony room, $1123 MXN. Address: Jardín de la Unión No. 12, Centro Histórico, Guanajuato, Gto. Address: Sopeña No. 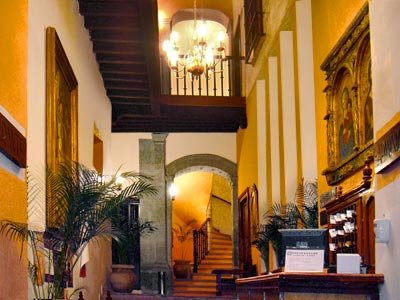 3, Centro Histórico, Guanajuato, Gto. Rate: Single/Double room $770 MXN. Address: Alhóndiga No. 100. Col. San Javier. Guanajuato, Gto. Rate: Single/Double room $1250 MXN. Phone: (+52)473-102-1501 attn. Ana Laura González. Email: reservas.gto@caminoreal.com.mx attn. Ana Laura González. Address: Carretera Panorámica San Javier. Col. San Javier. Guanajuato, Gto. 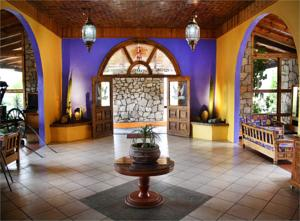 Rate: Single/Double room $796.50 MXN. Phone: (+52)473-102-3000 attn. Sandra Guevara. Email: ventas1gto@mexicoplaza.com.mx attn. Sandra Guevara. 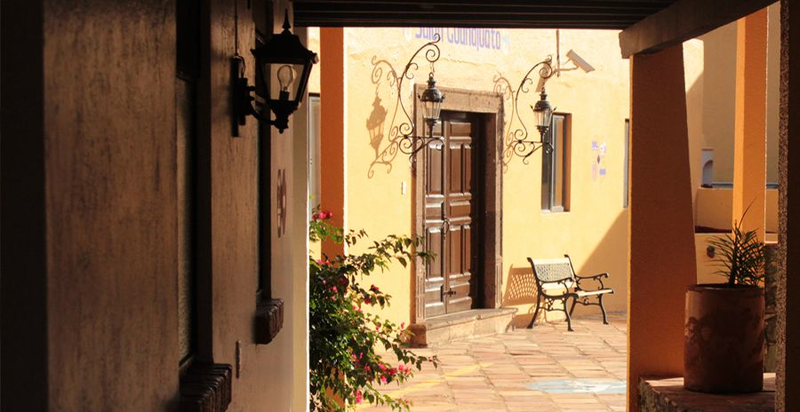 Address: San Javier No. 1, Col. San Javier. Guanajuato, Gto. 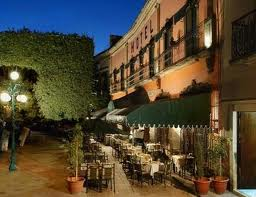 Rate: Single/Double room $690 MXN. Phone: (+52)473-732-2464 attn. Karmen Lara Rayas. Email: reservas@abadia.com.mx attn. Karmen Lara Rayas. Address: Carretera Guanajuato-Dolores Hidalgo Km 1. Guanajuato, Gto. Phone: (+52)473-732-2140 attn. Karmen Lara Rayas. 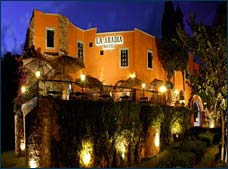 Address: Carretera Guanajuato-Dolores Hidalgo Km. 2.5. Guanajuato, Gto. Rate: Single/Double room $805 MXN. Phone: (+52)473-109-2052 attn. Lorena Wusterhaus. Email: eulowus@gmail.com attn. Lorena Wusterhaus. 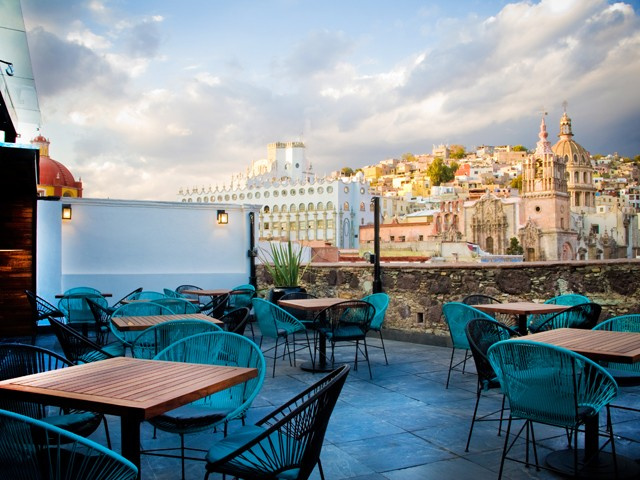 Address: Paseo de la Presa 168, Guanajuato, Gto. Rate: Single/Double $1614 MXN (weekdays). $2152 MXN (weekends). Phone: (+52)473-731-1517 attn. Paola Garcia. Email: ventas@acacias.com.mx, attn. Paola Garcia.